Tours in Iceland can be incredibly expensive. 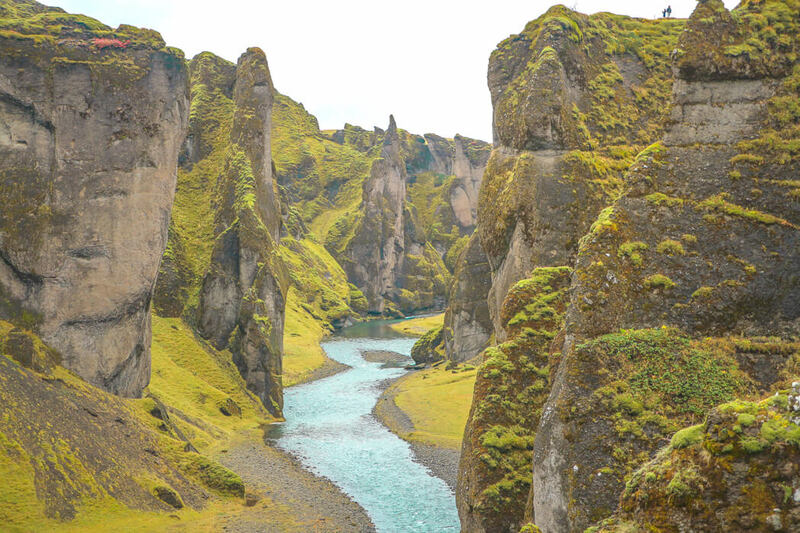 A full day tour of the country’s popular golden circle route from Reykjavik will set you back around 10,000 Icelandic Krona. That’s not cheap when you consider you’ll be packed into a bus full of other tourists! 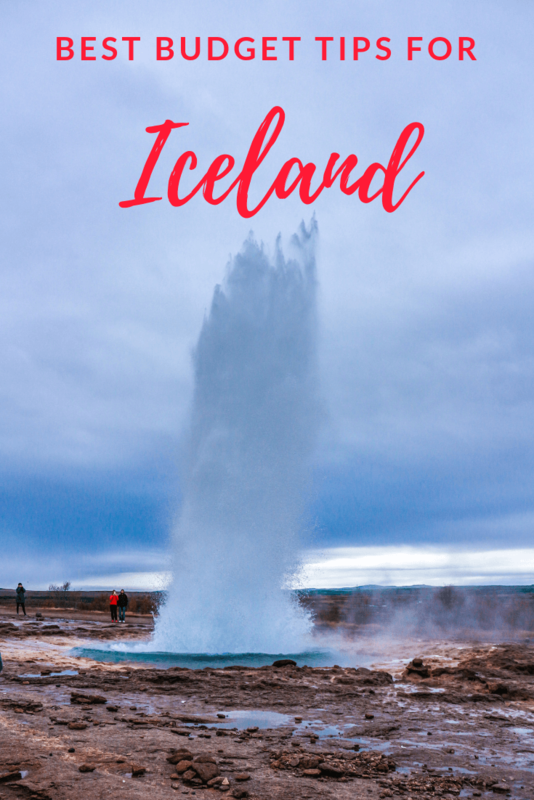 There are a load of great cheap things to do in Iceland, and many of the main attractions have little to no entrance fees. 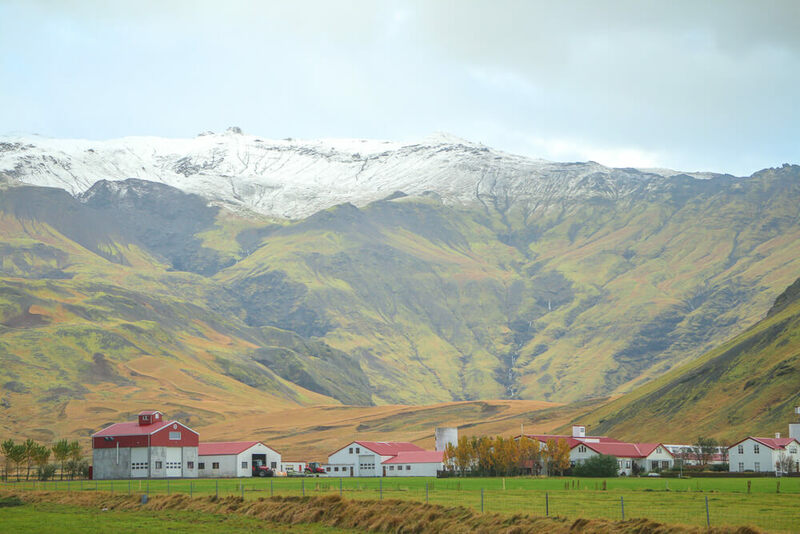 This makes avoiding tours one of the best money saving tips for travelling Iceland. 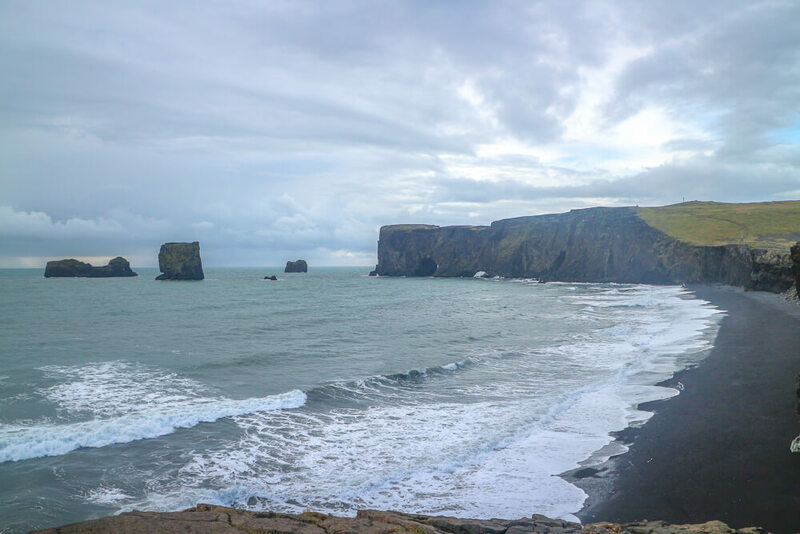 A lot of the main attractions are easily accessible with little to no entrance fees, so avoiding tours is one of the best money saving tips for travelling Iceland. Undoubtedly the best way to explore Iceland is to rent a car. If you’re looking to get off the beaten track you’ll need a 4×4, but a standard rental car will do for the country’s best-known spots. Renting isn’t exactly cheap, but the money saved on tours will cover the majority of the cost – especially if you’re travelling in a group. Travelling Iceland by car will give you the freedom to work to your own schedule – meaning you can beat the crowds to popular spots by arriving early. By doing this you’re sure to be there before the hoards of tour buses arrive so it makes for an all round better experience. There are some brilliant places to take a road trip in Iceland. Whether you plan to explore just South Iceland or the whole country by the ring road, there’s so much to discover by car that you don’t get chance to if you go on tours! If you have the choice, go with a diesel engine. Although diesel often costs slightly more, your fuel will last up to 30% longer, which means overall you’ll end up paying less! It pays to do a bit of research before confirming your rental so you can be sure the company is reliable. Click here to get a car rental quote for your trip to Iceland. When renting, you’ll have the option to pay more for GPS. Fortunately you won’t need to fork out for this if you have a smartphone. Download the app maps.me for offline navigation. This is something we’ve relied on consistently throughout our travels and we cannot recommend enough. Sometimes the timing estimates are off, but other than that it works competently in place of a sat nav – just allow a bit of extra time to reach your destination just in case! Rental companies usually have high excess charges upwards of 70,000 ISK ($675 USD) if you don’t pay for an excess waiver. Generally waivers can be quite expensive at around 1250 ISK ($12 USD) per day. Taking the risk and not paying the extra can really backfire if you’re left with a hefty bill due to an accident. Luckily, there’s a much cheaper alternative to covering the excess through your rental company. I Car Hire Insurance offer comprehensive excess coverage for around a third of the price you’d pay going directly through your rental company! As standard you’ll also be covered for loads more – such as damage to the windscreen and tyres, towing charges and theft. Most of these won’t be covered on your standard rental insurance even if you pay the waiver – so you’re not only saving money, but getting a better deal too! You can even take out an annual policy covering you worldwide so you never have to pay excess fees again! Click here to get a quote from I Car Hire Insurance to save paying more through your rental company. Travel insurance is a must for every trip abroad. The last thing you want on any trip is to amass huge medical bills that you’ll struggle to pay. Make sure to get comprehensive cover as costs can quickly add up. For an ambulance in Iceland you’ll pay 38,200 Krona just for the ambulance service, and an additional 2,300 Krona for every kilometre travelled. It’s not worth taking the risk of being uninsured, as you never know what’s going to happen. On top of covering medical costs, travel insurance is great if something else happens to go wrong whether it be a delayed flight or loss of your belongings. If you’re unsure where to start with travel insurance, we recommend checking out World Nomads. It’s quick and easy to get a quote, and you can make sure everything you need is covered – from diving to glacier walking. Click here to get a quote from World Nomads and travel with peace of mind. A great way to keep costs down is to share the costs of petrol with others. Hitchhikers are often willing to pitch in, as are a number of people in Facebook groups about travelling Iceland. While this only applies if you have room in your car, it’s one way to make sure your bank account doesn’t take such a hard hit! If you want to do this, then a good place to start is this Facebook group. Members regularly post about potential ride shares so you should be able to share some costs this way if you wish. Airbnb is a great alternative when searching for accommodation, especially if you’re travelling in a group. You may actually be able to rent an entire property between you for less than hotel rooms would cost! Either way, opt for a property with a kitchen even if it means you end up paying slightly more than you would for an alternative. By cooking for yourself, you’ll end up saving money overall – so it’s worth paying extra to begin with! If you’re new to Airbnb, check out our beginner’s guide to help you find the best property! To save even more money, sign up via this link to get £25 (around 3420 Icelandic Krona) off your first stay! Eating out in Iceland is extremely expensive – so one of the best money saving tips is to avoid it completely. Instead, cook for yourself to free up funds to explore more of the incredible nature the country has to offer. Supermarkets have plenty of choice and you can keep it as simple as you like! Take a packed lunch on day trips too to avoid having to pay high prices at tourist attractions. To keep costs down, head to Bonus, Netto or Kronan. These are regarded as the best value supermarkets in the country and should have everything you need. Locals recommend avoiding 10-11, as it can add up to 50% to your total bill. Even water is expensive in Iceland. Fortunately, Icelandic tap water is drinkable and so you can save yourself a small fortune with a reusable water bottle. Plan ahead and bring one from home or buy one at the start of your trip and reuse it. Despite seeming painstakingly obvious, it’s one of the most effective money saving tips for Iceland. You’ll also find tap water is free in many places if you just ask – so don’t be afraid to. That way you have more to spend elsewhere in this beautiful country. For the brave, camping is one way to avoid accommodation costs. Either bring your own equipment with you or rent it on arrival – although bringing it with you will save extra cash! Campsites will vary in cost but near Seljalandsfoss rates are 1,300 ISK per night for each adult. While some campsites aren’t open outside of summer, many opt to stay open longer – with some remaining open year round. Click here to find the opening dates for a number of campsites around Iceland. If you do plan to camp during your trip, be aware of the temperatures and pack accordingly. Alcohol is heavily taxed in Iceland so your best bet is to stock up upon arrival at duty free, or to detox for the duration of your trip. In some cases the tax can make up around 85% of the sale price, so avoiding alcohol is a must if you’re looking to save cash. Fortunately, if you do decide to grab what you can at duty free, it is legal to drink outside in Iceland so feel free to enjoy it where you please. Iceland is blessed with stunning nature and fortunately this means a number of attractions are free to visit. 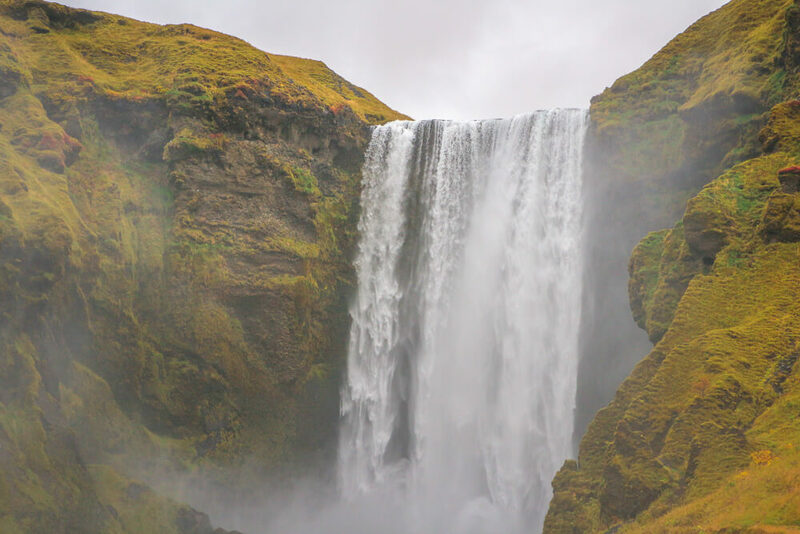 Gullfoss, Skogafoss and Seljalandsfoss waterfalls all have the advantage of no admission fee – although the latter does charge 700 Krona for parking. 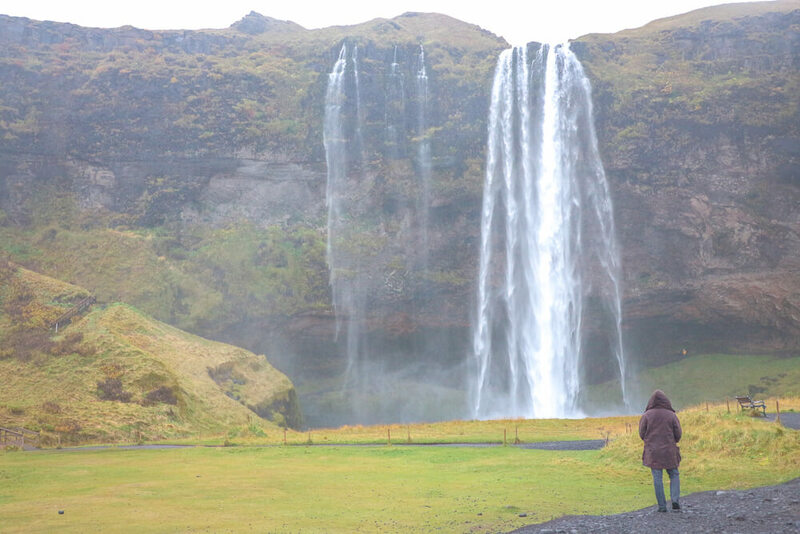 In fact, most of Iceland’s best waterfalls have no entry fee! Some other great free attractions include: Fjaðrárgljúfur canyon, Geysir geothermal area, Vik’s black sand beach and Þingvellir national park (which does have a 700 Krona parking charge). It’s also free to visit Mýrdalsjökull glacier, although if you want to hike on the glacier itself you’ll need to pay for a tour. In contrast to the above, the popular blue lagoon is not free. The cheapest entrance ticket available is 6,100 Krona per person – which is hard to justify if you’re sticking to a budget. It’s possible to see the blue lagoon from the on-site café for free if you’re intent on seeing it. If you’re truly sticking to a budget though, your money will go a lot further elsewhere. Visiting Iceland out of season means you’ll find better value for money in terms of flights and accommodation. Over busy periods, such as summer and Christmas, you’ll end up paying more – so try to plan your trip outside of these times. Iceland is a beautiful destination and has plenty to offer all year round, so you’re sure to have a wonderful time whenever you visit. The best time to travel to Iceland in terms of keeping costs down is during the shoulder season in either May or September. As with anywhere, you’re going to get the best deal if you plan ahead. If you’re not going down the route of Airbnb, then consider using Agoda to compare the options available to you. Properties are often heavily discounted on the site meaning you can find great deals! Click here to see properties available in Reykjavik or if you’re looking to get out of the city search for accommodation elsewhere in Iceland here. Using your credit or debit card abroad can incur overseas transaction fees that are completely avoidable. Before travelling to Iceland make sure you have access to a travel card that will avoid these fees. Being from the UK we use Revolut and Monzo cards – which offer the best exchange rate we’ve seen and £200 per month withdrawals abroad without fees. Currently only Revolut is available outside of the UK but is limited to European countries. For the US and other countries it’s best to research what your options are in advance to avoid fees! 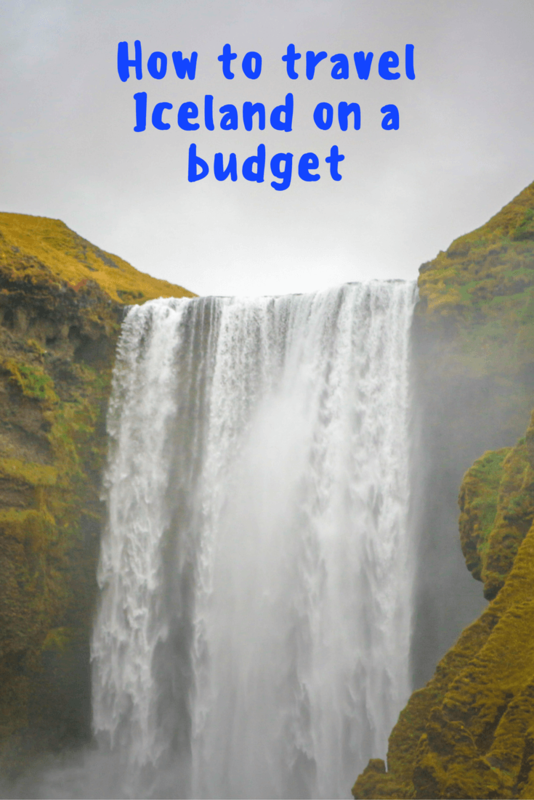 Like these money saving tips for travelling Iceland? Pin them!